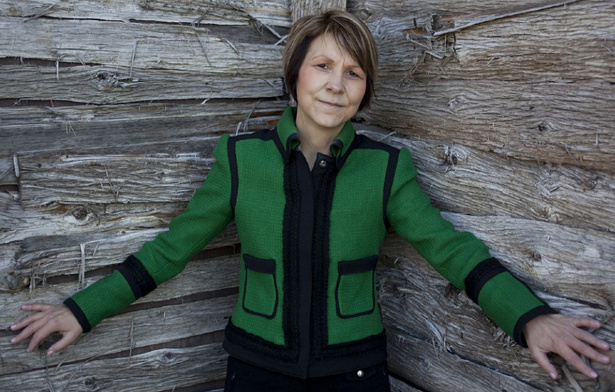 Since 2007, federal officials have attended 75 to 100 meetings at which Cindy Blackstock spoke, then reported back to their bosses. As first reported by the Aboriginal Peoples Television Network, it’s all there in a mountain of documents, measuring more than six inches high, which she recently received after waiting 1 ½ years for them to be released under access to information legislation. “I have never had a parking ticket, let alone a criminal record and I have never conducted myself in an unprofessional manner," she told me from Edmonton Tuesday. Some of the emailed reports that went up the ladder at the former Indian and Northern Affairs openly mocked Blackstock. In one report of her presentation to a New Brunswick symposium, there was a sarcastic summary of her “tour de force . . . which fired up a ready to be impressed audience. ...She rattled through some general statistics (or gave the impression of doing so) before being whisked off to the airport." It’s hardly the first time that the Conservative government has surreptitiously kept its eyes on aboriginals. Last month, it was revealed the Canadian military had been keeping watch on activities of native organizations and had delivered at least eight reports over 18 months dealing with everything from a potential native backlash over Ontario’s introduction of the HST to potential demonstrations on the lawn of Parliament Hill. In 2009, Blackstock was awarded the Atkinson Charitable Foundation’s Economic Justice fellowship, which provides $100,000 per year to community leaders to support their work. Among those who praised her on that occasion was former prime minister Paul Martin. In April, she spoke at a two-day provincial summit organized by the Dalton McGuinty government to try to find common ground among those fighting to improve the lives of native kids. So, while one level of government was seeking her expertise, another level was spying on her. A spokesperson for Aboriginal Affairs Minister John Duncan, said the government “takes privacy concerns very seriously. The department routinely monitors and analyses the public environment as it relates to the department’s policies, programs, services and initiatives. This is done to do a better job in service delivery and policy." “I have never said anything that the auditor general hasn’t said," Blackstock says. “I’m a common sense girl," Blackstock says. “I say rather than spend the money following me around, spend it on the children." This is a government that seems perpetually in need of enemies. The irony is that there has been much speculation in this city of late that the plight of aboriginals will be a major preoccupation of Stephen Harper in the remaining years of his majority government. A first step would be to stop treating advocates for aboriginals as enemies.